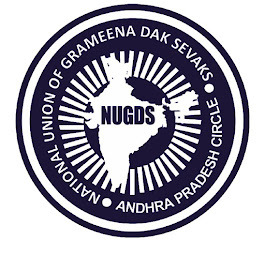 NUGDS General Secretary letter to all Unions of General Secretaries and suggest that an immediate meeting is required. 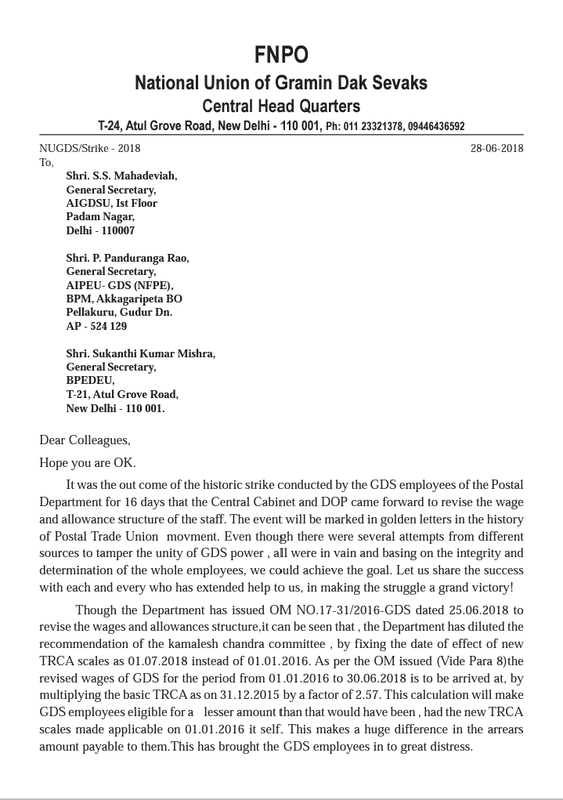 The promotion prospect of newly recruited GDS is totally omitted in the report.It should be 1yr minimum service to apply for MTS/Postman exam and 3yrfor PA. The upper age for appearing PA exam need to be 35yrs for GDS.Further 50% quota in MTS and 75% postman or upper posts shall be introduced so that highly qualified candidates need not harassed by this department. Hope union will try it's best to achieve upliftment for GDS fresh candidates. Except trca total GDS report is fraud. 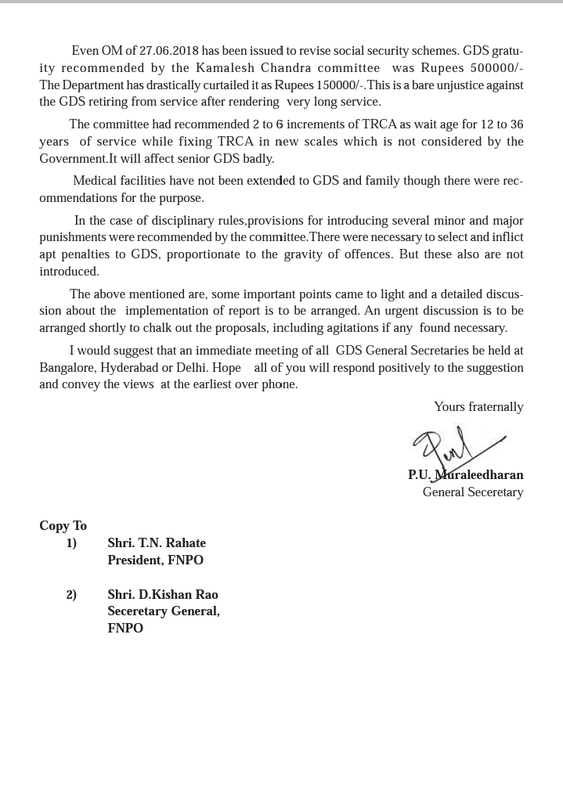 So pls give this case to CAT to solution at least in arrear , senior GDS upgradation, effective date when compared to dept employees as per 7th CPC . Whole directorate is fraud or calculation is fraud? Union should not take this as simple matter. there no benefit for gds in any way. Should not make any delay in action.